Located in beautiful Vancouver, Canada, Tojo’s Restaurant is internationally recognized for creating exquisite food served as an art form. Our dishes are fresh, unique and modern, rooted in Japanese fine dining traditions with a distinct Pacific Northwest perspective, using the finest seasonal, local and organic ingredients. We are proud to celebrate our 30 year anniversary in October 2018. 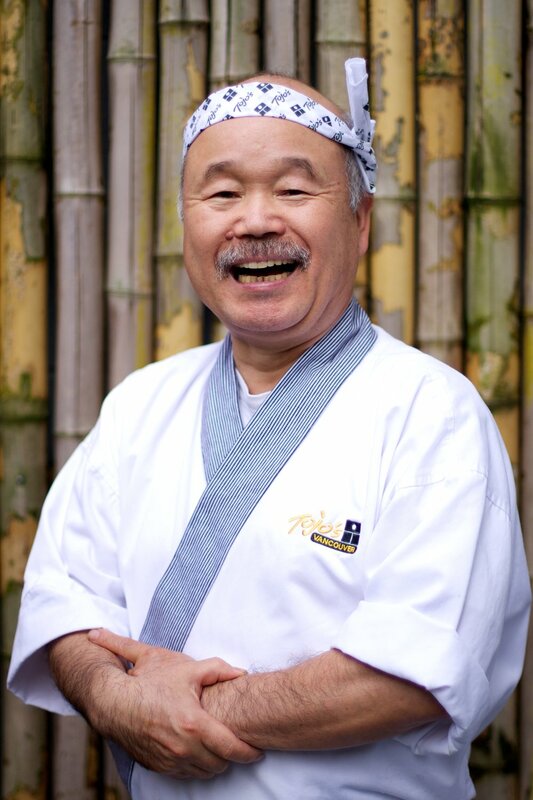 Chef Tojo has received a long list of awards and accolades throughout his culinary career. From Vancouver Magazine’s Lifetime Achievement award, Wall Street Journal’s Top 10 Best Sushi Chef in the World and Food and Wine’s People Choice Award, he has earned respect as a Master Chef for his extraordinary ability to prepare Japanese cuisine. In 2016, the Japanese government honoured Chef Tojo as a Goodwill Ambassador for Japanese Cuisine, distinguishing him as belonging to the top tier of Japanese chefs in the world. Chef Tojo gained his culinary skills and knowledge while working in a Ryotei, a high-class traditional Japanese restaurant in Osaka in his early twenties. Even then, he was passionate about experimenting with flavours and cooking methods, and creating new dishes. Although he showed real promise in the kitchen, Tojo felt limited by the strict traditions of Japanese culinary culture and jumped at the opportunity to move to Canada and settled in Vancouver, in 1971. Chef Tojo was the first to use smoked salmon in Japanese cuisine and was serving Tojo’s Tuna (marinated tuna) to delighted guests decades before the first Poke shop opened in Vancouver.